A week of changeable weather and my first night camping this year. 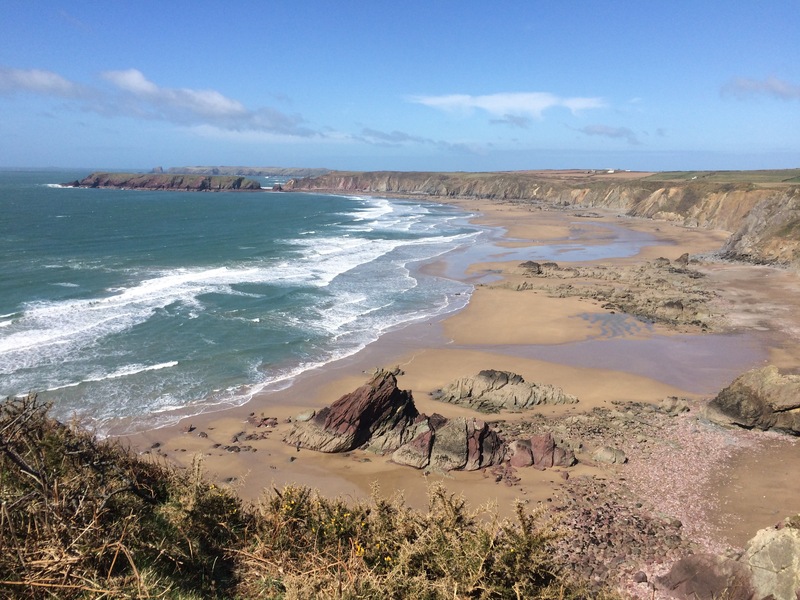 The Pembrokeshire Coast Path is the most popular coast path I’ve come across and I’ve passed quite a lot of walkers considering it’s out-of-season and the coastal buses aren’t running yet. Indeed I quite enjoyed that I kept meeting up with Jack and Deja this week. 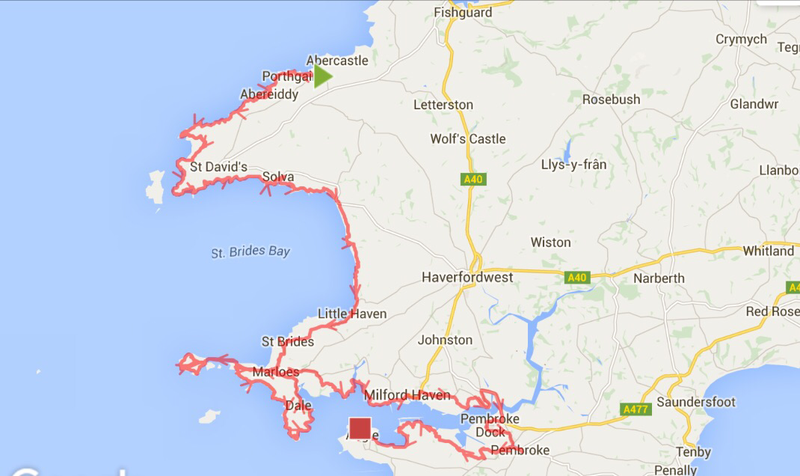 The Pembrokeshire Coast Path felt more remote than I imagined it to be. Almost all of the coastline is rugged cliffs and the path mostly traces the edge, weaving in and out, up and down. There are numerous coves with small settlements that have grown up but these rarely have facilities (I think many are full of second homes and seaside lets so empty much of the time). As a consequence, the coast path only passed one small supermarket (at Broad Haven) between Fishguard and Milford Haven. Fortunately I have not struggled to find enough pubs and cafes, but it would have been a much more difficult walk if I had been intent on self-catering. This week I passed lots of limestone kilns, almost at every cove, for providing lime for the crop fields. 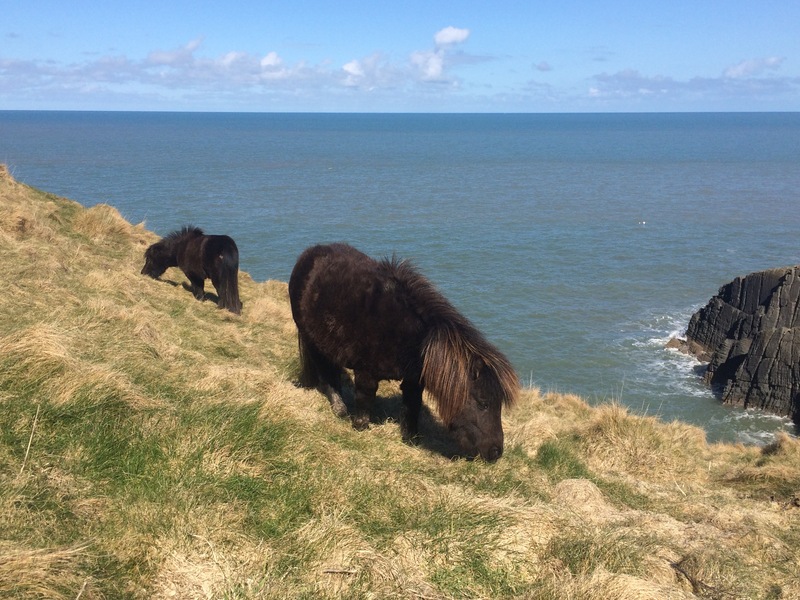 I also passed a number of groups of wild ponies grazing by the path at intervals and have seen one or two seals most days. 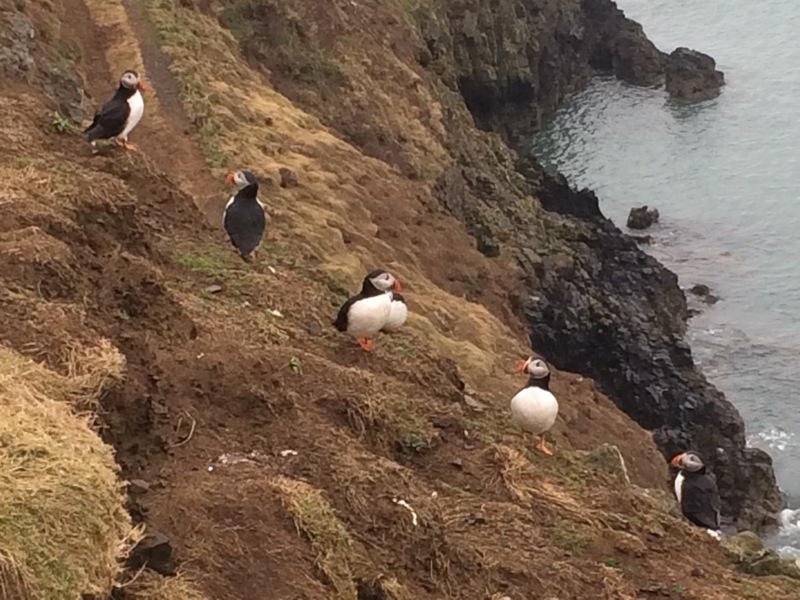 The highlight of the week was definitely my trip to Skomer. Hi Andy. I kept a close eye on all the results and reports this season. I hoped to get over to watch a match but without a car it proved a little difficult. No doubt you’re already plotting for next season! 82 miles in the bag, the adventure continues …………..stunning coastline, beautiful wildlife and meeting some wonderfully kind and generous people another fab week for Ms N. On on Juice.